The English Chamber Orchestra (ECO) is based in London. The full orchestra regularly plays concerts at Cadogan Hall, and the ECO Ensemble performs at Wigmore Hall. It is also the resident orchestra at Grange Park Opera, and regularly tours in the UK and internationally. The ECO has its roots in the Goldsbrough Orchestra, founded in 1948 by Lawrence Leonard and Arnold Goldsbrough. The group took its current name in 1960, when it expanded its repertoire beyond the Baroque period for the first time. 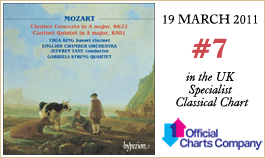 Its repertoire remained limited by the group's size, which has stayed fairly consistently at around the size of an orchestra of Mozart's time. Shortly afterwards, it became closely associated with the Aldeburgh Festival, playing in the premieres of Benjamin Britten's A Midsummer Night's Dream, Owen Wingrave, Curlew River and several other of his works. Britten conducted the orchestra on several occasions, and made a number of records with the group. The orchestra did not at this time have a principal conductor, but worked closely with a succession of guest conductors including Raymond Leppard, Colin Davis and Daniel Barenboim. 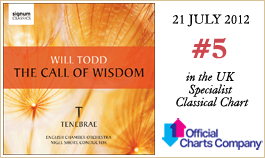 In 1985 Jeffrey Tate was appointed the ensemble's first principal conductor.